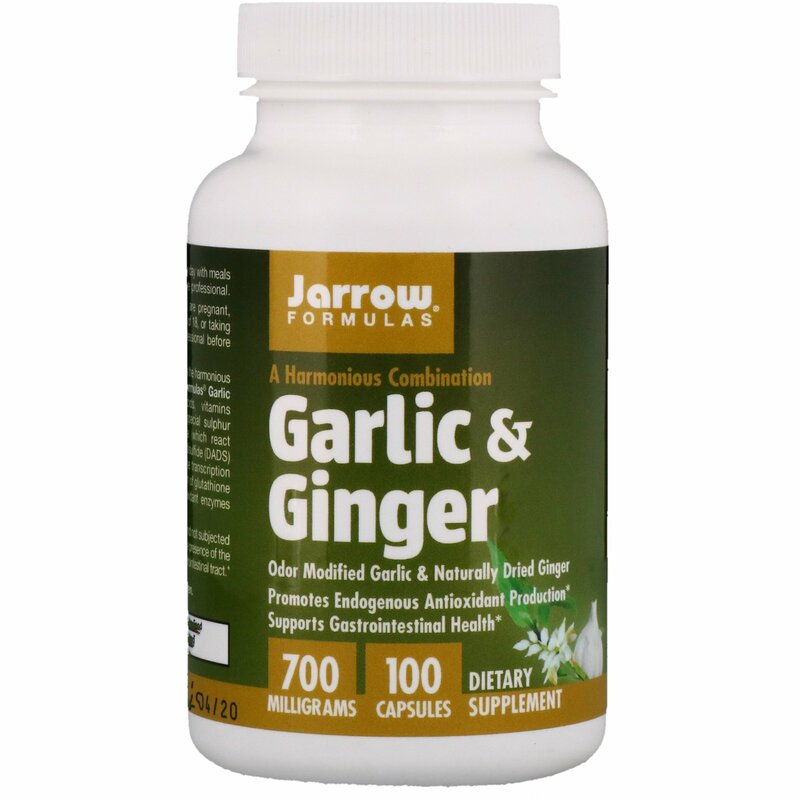 Jarrow Formulas Garlic & Ginger contains the harmonious combination of garlic and ginger. Jarrow Formulas Garlic contains naturally-occurring amino acids, vitamins and minerals, including seleniumm, and special sulphur compounds, such as alliin and alliinase (which react upon ingestion to yoield allicin) and diallyl disulfide (DADS) compounds. Allicin and DADS activate the transcription factor Nrf2, which promotes the production of glutathione S-transferase and other endogenous antioxidant enzymes involved in Phase II liver detoxification. 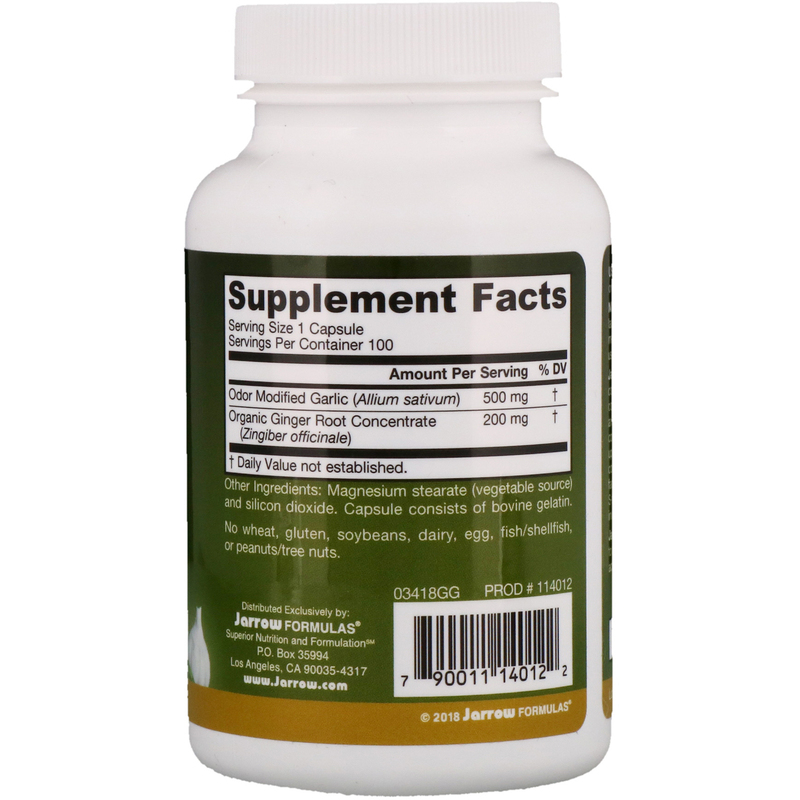 Jarrow Formulas Ginger is naturally dried and not subjected to any additional heat. This process ensures the presence of the active compounds that are beneficial to the gastrointestinal tract. Take 1 to 2 capsules 1 to 2 times per day with meals or as directed by your qualified healhcare professional.